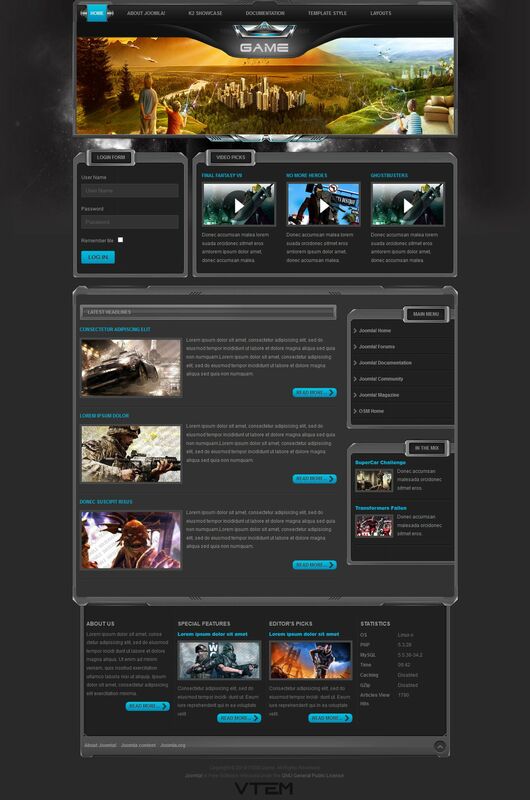 New template play themes VT Game was created by designers from Vtem. With optimized CSS code page of the site is loaded with high speed. It comes in several color variations and support component K2. Template design table is 100%, the various kinds of menus and the CSS. Based on this layout, you can create a comprehensive portal play themes.